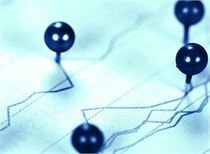 The annual report data reveals new trends in pension positions. 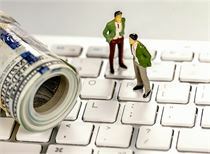 More than 2.3 billion yuan has been invested in 31 new companies. With the disclosure of the listed company's 2018 annual report, the latest trend of pension holdings has gradually surfaced. 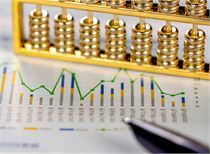 Statistics show that as of 19:00 on the evening of April 14, among the companies that have disclosed the 2018 annual report, there are 40 companies with the top ten outstanding shares.shareholderThe figure of pensions appeared, with a cumulative stock market value of 3.542 billion yuan. Among them, 31 companies' stocks have become the key new varieties of pensions in the fourth quarter of last year, with a total stock market value of 2.376 billion yuan. Today, this newspaper from the shareholding funds,PerformanceThe above stocks are analyzed for performance and institutional rating for investors' reference. According to statistics from the Securities Daily Research Market Research Center, as of 19:00 pm on April 14th, among the listed companies that have disclosed the 2018 annual report, there are 40 companies with pensions among the top ten tradable shareholders. The figure has a cumulative stock market value of 3.542 billion yuan. Among them, 31 company stocks have become the key varieties newly held by the pension in the fourth quarter of last year, totaling the stock market value of 2.376 billion yuan, includingSilver wheel shares,Huan Xu ElectronicsThe stocks of six companies, including the company, have been priced, highlighting the pace of pension distribution. On the new front, among the 31 companies mentioned above, as of the end of the fourth quarter of last year,Hainengda(2469.63 million shares),Songcheng Performing Arts(218.654 million shares),Sunshine power(179.402 million shares),Shenzhen Airport(172.838 million shares),Haley(142.75 million shares),Lucky Airlines(138.339 million shares),Jingsheng Electromechanical(1154.59 million shares),Dongjiang Environmental Protection(1049.84 million shares) andCloud power(100,100,000 shares) and other 9 stocks in the fourth quarter of last year, the number of new imports are more than 10 million shares, includingChangyuan Power(948.28 million shares),Chinese media(783.43 million shares),Seven wolves(755.73 million shares),Wuxi Bank(708.07 million shares),Yutong Expressway(696.68 million shares) andShanghai MeilinThe stocks of 22 companies, including (662.34 million shares), were also newly held by pension funds in the fourth quarter of last year. In terms of holdings, as of the end of the fourth quarter of last year, Yinlun shares (15,242,200 shares) and Huanxu Electronics (107.28 million shares),Jiuyang shares(837.01 million shares),Da Ya Sheng Xiang(306.10 million shares),Chongqing Water(143.47 million shares) andTianyuan Dike(5,100,000 shares) and other six companies' stocks increased their holdings by more than 500,000 shares during this period. On the whole, the pensions in the fourth quarter of last year increased by 37 stocks, and the total holdings increased to 2.766 billion yuan. It is worth mentioning that this year, the A-share market has shown a strong rebound, and the stocks have shown a general pattern. The stock prices of the stocks held by the pensions in the fourth quarter of last year also achieved good performance. The above 40 stocks all rose more than 5% during the year.CITIC Construction Investment(181.97%),Huatie Technology(104.17%), Huanxu Electronics (58.22%), Changyuan Power (55.84%),Zhongke Sanhuan(53.48%), Jiuyang shares (51.53%) andGigabit(50.53%) and other stocks performed the most prominent stocks during the year, both of which reached more than 50%. Judging from the changes in the stock market value, the stock market value of the above 40 individual stocks has increased by 1.047 billion yuan in the absence of a reduction in the number of pensions held this year. 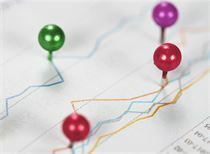 According to statistics, the Securities Research Center of the Securities Daily found that 29 of the above 40 listed companies achieved a year-on-year increase in net profit in 2018, accounting for 72.5%. Among them, Changyuan Power (271.67%), Hainengda (94.72%),Gansu Power Investment(85.86%),WuXi PharmaTech(84.22%), Jingsheng Electromechanical (50.57%),Sande Technology(47.27%),Vision source(45.32%), Tianyuan Dike (38.23%),Tianfu Communication10 companies such as (21.84%) and Songcheng Performing Arts (20.57%) increased their net profit in 2018 by more than 20% year-on-year. As for the performance forecast for the first quarter of 2019, as of now, 12 listed companies have taken the lead in disclosing the 2019 first quarter results forecast, and there are 7 performance pre-history companies. 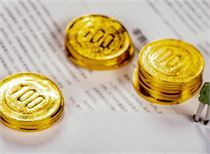 Specifically, three companies including Changyuan Power (343.09%), Tianyuan Dike (157.00%) and Sande Technology (60.00%) expect net profit in the first quarter of 2019 to increase by 60% and above, Tianfu Communication Three companies, including Songcheng Performing Arts and Haley, expect a slight increase in the performance of the first quarter of 2019. Jingsheng Electromechanical Co., Ltd. is expected to continue its earnings in the first quarter of 2019. In terms of industry characteristics, the above 37 pensions are newly added to the stocks, mainly in transportation,UtilitiesIn the three industries, including the media, the number of individual stocks is 4, 4 and 3. 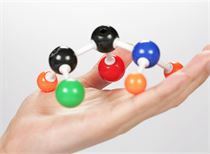 In addition,Non-ferrous metal, pharmaceutical biology, communications, automotive, non-silver finance,Textile and ApparelThere are also two stocks in the electronics, electrical equipment and other industries. Further statistics show that the performance of the above 40 stocks is generally recognized by the institutions. Recently, a total of 33 stocks have been given a “buy” or “overweight” rating by the institutions. Among them, 11 stocks are optimistic about the number of rated stocks in the near future. In more than 10, the performance of the market is worth keeping track of. Specifically, Songcheng Performing Arts and Jingsheng Electromechanical Co., Ltd. have recently ranked more than 20 rated companies, with 23 and 21 respectively, and Gigabit (19).Weixing New Material(18), Sunshine Power (17), Chinese Media (17), Jiuyang (17), Haineng (15),Dongjiang Environmental Protection(15),WuXi PharmaTech(14) and Shiyuan shares (11) and other stocks have recently ranked more than 10 rated companies. Due to the unified investment style of maintaining and increasing value and maintaining value investment, the pension portfolio is easier to get together. Among the top ten tradable shareholders of Yinlun and Jiuyang, the pension portfolio occupies more than two seats. . 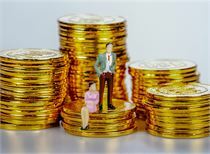 Among them, as of the end of the fourth quarter of last year, there were three pension accounts appearing in the list of the top ten tradable shareholders of Jiuyang: basic pensionInsurancefundThe 1207 combination and the basic pension insurance fund 1005 held respectively 6,354,200 shares and 5,647,500 shares of Jiuyang, becoming the fifth and sixth largest tradable shareholders of the company, and the basic pension insurance fund 1206 newly entered the shares of 3,247,200 shares. 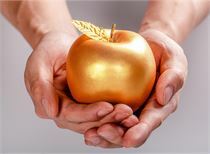 In fact, among the heavyweights of pensions at the end of the third quarter of last year, Jiuyang was the only stock held jointly by two pension accounts, and by the end of the fourth quarter of last year, not only the original two pension accounts were overweight. The stock has a third pension account to come to "sound support." In this regard, analysts believe that the investment style of pensions has a certain wind vane effect on the market. Pensions have very strict investment restrictions. The investment direction is generally the leading varieties of high-quality blue-chip stocks and industries, and the collective positions of pensions are from the side. It is worth looking forward to highlighting the value of these stocks in the medium and long term.